Pefkohori is a seaside village on the peninsula of Kassandra. It is 96km away from Thessaloniki airport. Therefore it takes 68min to get to Pefkohori. It is a rather popular destination, by all means. That is, because of the clear waters and the beaches along its coastline. Furthermore, there are plenty of hotels either luxury or not. There are also many apartments too. On the main street especially, they can find banks, shops, cafes, restaurants. Therefore, it is an ideal place for holidays. Pefkohori is rather ideal for tourists who also seek vivid nightlife. Visitors can also go to other places nearby, e.g. Kriopigi Polihrono, Hanioti. Anastasia Studios -,- Armyra Studios -,- Alexander -,- Apanemia By Flegra -,- Ammon Garden hotel -,- Blue Carpet Luxury Suites -,- Chrysanna rooms -,- Dimitris Lemon Hotel -,- Dimitra Hotel -,- Eliza -,- Enastron apartments -,- Fouli house -,- Golden Sun Village -,- Golden Sun -,- Gregory apartments -,- Gatos House2 -,- Helena’s apartments -,- Hotel Flesvos -,- Horizon -,- Hotel Olimpia -,- Harmony apartments -,- Hotel apartments Akritas -,- Ifigenia Holiday Homes -,- Ifigenia Bungalows -,- Ioannis apartments -,- Kopsis beach -,- Kapsohora Inn -,- Katerina apartments -,- Kripis studios -,- Kohyli apartments -,- Koralli -,- Kripis house villa -,-Magdalena Hotel -,- Marabou hotel -,- Myrto family Hotel -,- Nymfes Deluxe -,- Poseidonio Studios -,- Pella House -,- Pilalidis Hotel -,- Rigakis -,- Summer Villa Angela -,- Sunny Villa Sofia -,- Summer suites -,- Stone Suites -,- Sun And Sea Pefkohori -,- Summer House Pefkohori -,- Tasos 2 -,- Villa On the Beach -,- Vilar studios -,- Villa Rigas 2 -,- Xenios Hotel -. 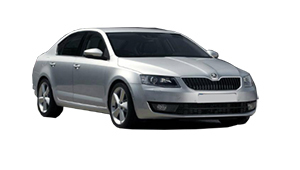 Select for Pick up location either “City Thessaloniki” or “Thessaloniki Airport”. Choose after that, Pefkohori as Drop off location. Insert then, the number of passengers (including Children). Choose then, the vehicle you want. After that, add your extra items (such as luggage etc.). Proceed to check out finally. 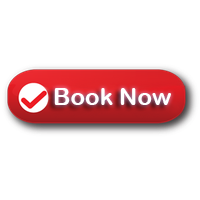 Write on the “billing details” form at the “Additional Information” your location address and other information such as the Name of Hotel . 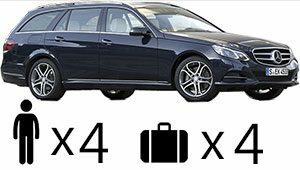 Thessaloniki taxi transfers undertakes your transfer from Thessaloniki airport to Pefkohori in Halkidiki, with safety and reliability above all. Particularly, our luxury Mercedes E class cars are always clean and in an excellent condition. Additionally, our polite and helpful drivers are willing to undercover what a passenger needs. Furthermore, , the support team is there for you 24/7. 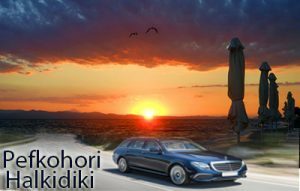 Book your Airport taxi transfers to Pefkohori Halkidiki from Thessaloniki with taxi, minivan, minibus or bus.